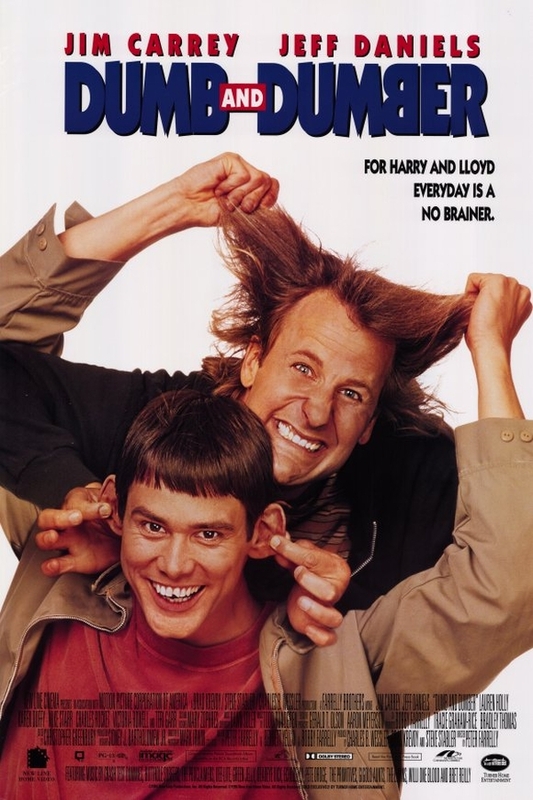 Dumb and Dumber font here refers to the font used in the poster of Dumb and Dumber, which is a 1994 American comedy movie that tells the story of Lloyd Christmas and Harry Dunne, two friends who set out on a trip to return a briefcase full of money to its owner, only to be pursued by criminals who are after the briefcase. The movie title in the poster features a manually condensed Kabel Black with the letter “B” inverted. Designed by German typeface designer Rudolf Koch, Kabel is a geometric sans-serif typeface that is characterized by monotone strokes and open counters, it’s most commonly used for decorative and display purposes. You can view more details about it here. In addition to Dumb and Dumber, Kabel typeface is also used in the following logos, movie posters or album covers etc., including: The Stooges, Toronto Maple Leafs, Wrangler, Six Flags, Evil Genius (TV series), Country Boy Down in New Orleans, SimAnt, Behind the Green Door, Newsies (musical), Metro, Cold Fact, Monopoly, Petals on the Wind, Angus, Thongs and Perfect Snogging, Everybody (Logic).